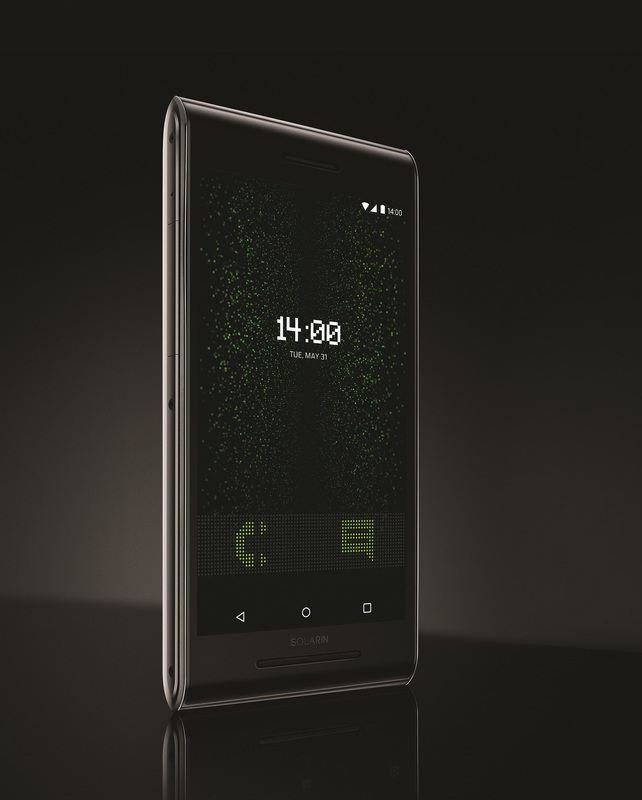 Sirin Labs, a developer of smartphones from Switzerland, last week announced its Solarin smartphone which promises to combine a luxurious design with high performance components, advanced security and support for technologies that have not reached the mass market yet, such as WiGig. The handset is designed for those who travel a lot, require sophisticated security, want an exclusive look, and can pay hefty sums of money. The price of the Solarin starts from £9500 ($13,688) without tax, but the company has alluded that it can build versions that are much more expensive using rarer materials. Luxurious smartphones from companies like Vertu or Mobiado, as well as custom-built iPhone and Galaxy S handsets from jewelers, have existed for years are becoming a pretty common sight in high-end boutique fashion stores. While such devices boast with exclusive design and feel, they use mass market platforms and typically lack exclusive functionality (concierge service is not a feature of a device, but a service of the brand). 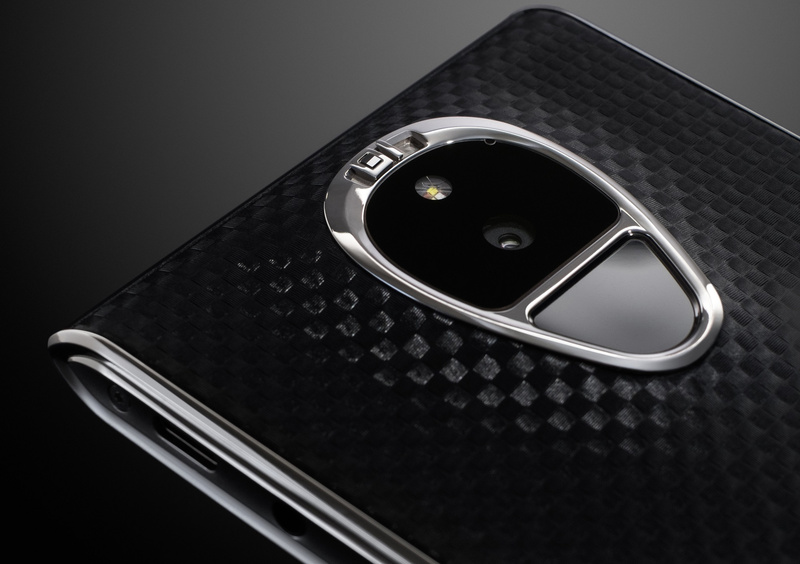 As a result, when it comes to features like security or connectivity, bespoke phones typically offer the same feature set as the standard devices. 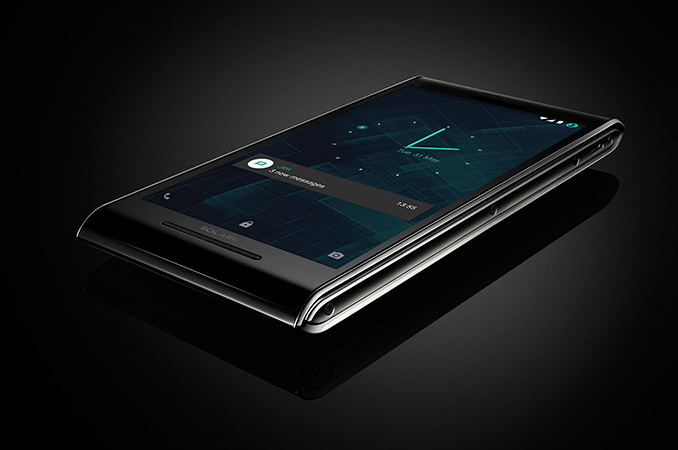 By contrast, the Solarin from Sirin Labs promises several capable security capabilities as well as WiGig support on a smartphone running Google Android. The Sirin Labs Solarin is based on Qualcomm’s Snapdragon 810 application processor and comes with a 5.5” IPS display with 2560×1440 resolution, 120% sRGB color gamut as well as curved Corning Gorilla Glass 4. The device also comes with 128 GB of NAND flash storage as well as 4 GB of LPDDR memory. Communication capabilities of the Solarin appear to be among its most advertised features because the device has Qualcomm’s X10 LTE modem (up to 450 Mbps downlink and up to 150 Mbps uplink speeds) that supports 24 4G/LTE bands worldwide as well as 802.11ac 2×2 MU-MIMO Wi-Fi. Besides, the device has a WiGig (802.11ad) controller with support of data-rates up to 1.5 Gbps. WiGig operates in 60 GHz frequency range and enables transfer rates up to 7 Gbit/s, but its propagation is limited to direct lines of sight because the high-frequency signal cannot penetrate walls, ceilings, floors, etc. Companies like Intel and Qualcomm believe that WiGig could be used for wireless docking stations, video streaming and other applications, which require fast data rates and do not need to communicate through concrete obstacles. Right now, there are not a lot of devices supporting WiGig, even though Intel has been shipping its Intel Wireless 802.11ad modules for client and sink devices for well over a year now. However, when appropriate docking stations hit the market, owners of Solarin smartphones will be ready. Another major feature of the Solarin is its security. While the smartphone uses Google Android and naturally relies on public wireless networks, it has a special mode which is activated by a special security switch on the back of the handset. In the secure mode, the Solarin can communicate only with other Solarin phones for encrypted calls and messages (Wi-Fi, Bluetooth, etc. are switched off), which implies that it contains a special chip that can handle real-time encryption/decryption of voice data. While we do not know the details, it seems that the Solarin supports technology akin to Blackberry’s Secusmart (which it acquired in 2014), which was used by multiple high-profile officials, including German Chancellor Angela Merkel, for voice communications that were encrypted using a 128-bit key in real-time. Moreover, even when working in normal mode, the phone uses 256-bit AES encryption for some of the chip-to-chip communications as well as monitors and prevents attempts to break into it using built-in security software. While encryption for chip-to-chip communications seems to be something excessive, and potentially performance-limiting, the manufacturer claims that some of the leading-edge military devices support this as well. 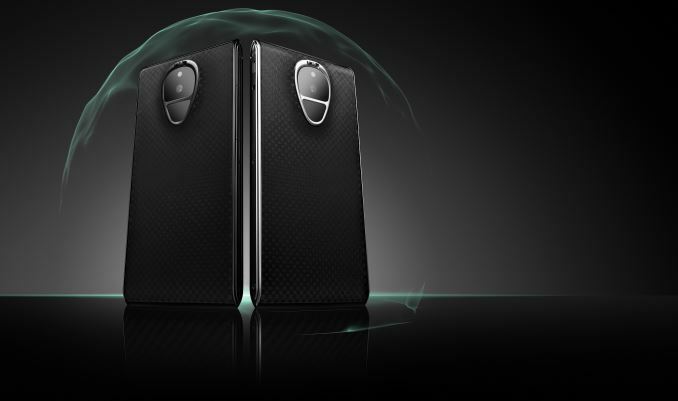 Naturally, the Solarin also supports features like full disk encryption, remote lock/wipe and so on. To access the phone, a fingerprint will be required. Since the Solarin comes with multiple software features developed in-house, do not expect frequent upgrades of its feature set. Out-of-the-box, the device uses Android 5.1.1 and it is unclear whether Sirin Labs has plans to offer 6.0 or more advanced operating systems over time. 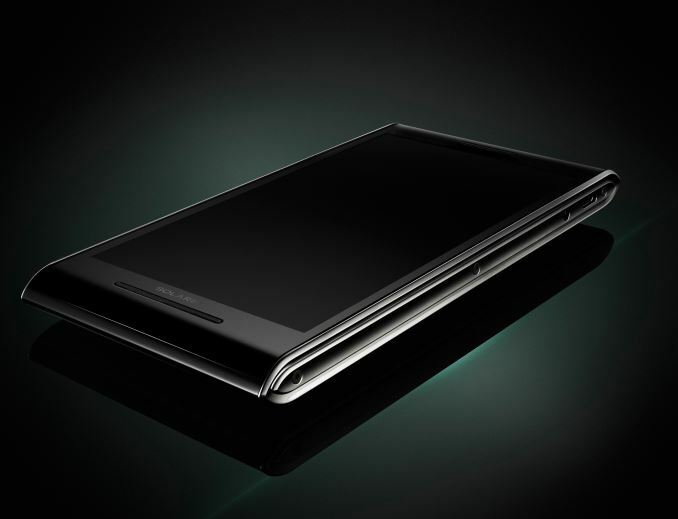 Unlike Blackberry handsets, the Solarin is designed to not just be secure, but also to act as a luxurious phone, which means that it should be stylish. The chassis of the smartphone is made of a metal matrix composite with titanium panels to make it strong, yet relatively light. The bezels can be coated with gold, titanium or another material. The backside of the phone looks like carbon fiber, but the manufacturer claims that it is actually leather, which should feel a lot better. Overall, the visual aesthetics of the launch devices looks very good. The powerful hardware and design of the Solarin are accompanies by a 23.8 MP back-facing camera featuring laser autofocus, optical image stabilization and four-tone LED flash (considering the price of the device as well as the leading-edge sensor, a real xenon flash would have been a lot better) as well as an 8 MP front-facing camera for video calls. As expected from an expensive smartphone, the Solarin also boasts with four microphones as well as three speakers with an amplifier. The internal DAC is claimed to belong to the high end of the spectrum to ensure high-quality audio when headphones are used, although exact specifications are unknown at this point. The Solarin comes equipped with a 4040 mAh battery that supports Qualcomm’s quick charge technology, supporting up to two weeks of standby time and up to 31 hours of talk time, according to the developer. In real life, battery life greatly depends on use model, especially when all the security and encryption features of the Solarin are taken into account. Still with a battery of this capacity, do not expect Solarin to be behind other smartphones with 1440p displays when it comes to battery life. Initially, Sirin Labs will offer four versions of the Solarin in its boutiques in London as well as the online store with prices starting from £9500 ($13,688) without tax. Eventually, the company could offer new models, or even build to order options. Sources: Sirin Labs, Pocket Lint. > Out-of-the-box, the device uses Android 5.1.1 and it is unclear whether Sirin Labs has plans to offer 6.0 or more advanced operating systems over time.